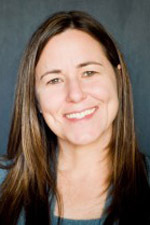 From PBS Parents: Annie Leonard is the Director of the Story of Stuff Project and author of the book, The Story of Stuff. “One of the toughest places to combat excessive consumerism is with today’s kids. Advertisers spend millions of dollars and employ teams of child psychologists to convince our children to constantly want more stuff. Some youth advertisers actually call parents “gatekeepers” whom they must circumvent to reach the kids.” This month, expert Annie Leonard, Director of the Story of Stuff Project, shares her thoughts on raising less ‘stuff-centered’ kids. Model it. Raising kids to be less stuff-centered must be integrated into the overall way we live and work and play. Develop family traditions around creative time together, rather than buying stuff. Encourage homemade gifts rather than store bought, board games rather than commercial television, outings with friends and family to parks and museums rather than shopping malls. The more that choosing community and creativity over stuff is a part of who we are, the more natural and fun it becomes. Create Community. Seek out other families that value people based on their character rather than their stuff. Befriend neighbors and find parents at your child’s school with similar values, It’s a harder sell to preach consumer restraint if all your kid’s friends have the latest electronic gadgets or wear only brand name clothes. Nurture non-product based identities. Most kids want some kind of group-based identifier. We can help them develop identities that aren’t based on the logos they wear or the type of cell phone they own. Sports teams, theater groups, musical ensembles, hobby groups and cultural clubs all offer healthy non-commercial group identities. To read all of Annie’s thoughts, visit the Expert Q & A page. Each month on the PBS Parents, experts are featured from a wide range of parenting topics. Readers also have a chance to share their own expert tips with other parents. Please feel free to pass along this information to others!